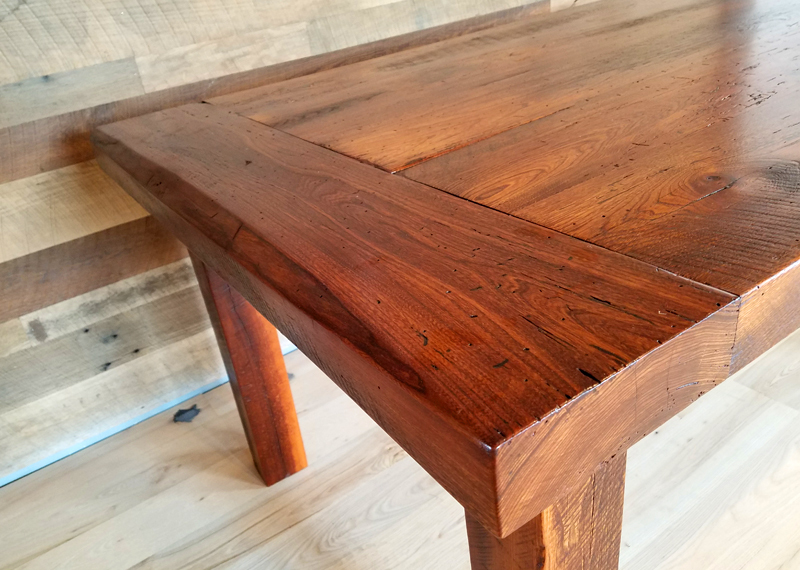 We love to work with good friends creating beautiful wood products. 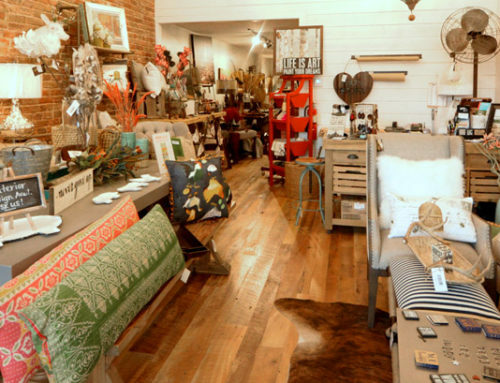 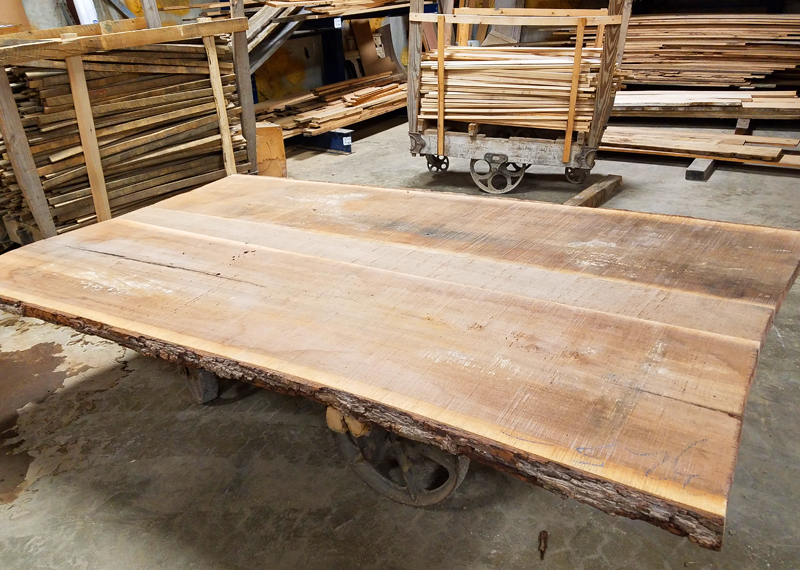 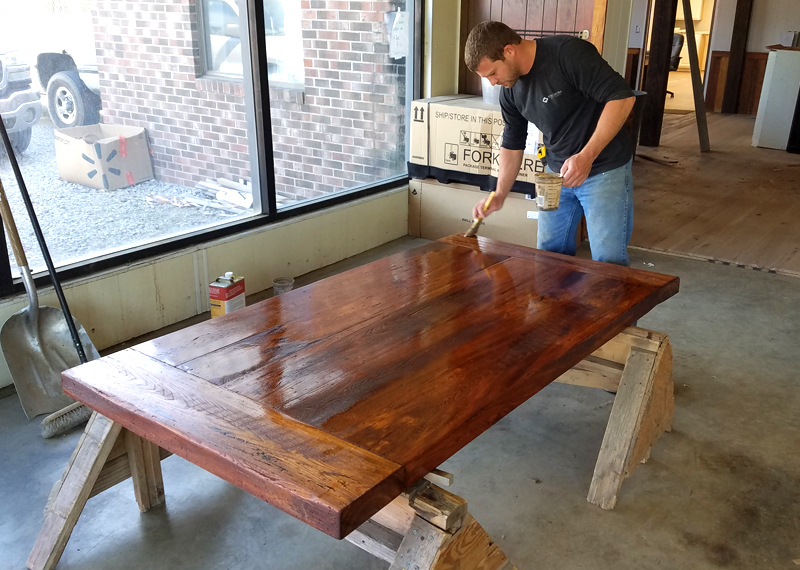 Stull Woodworks in Troy, Ohio is one such friend. 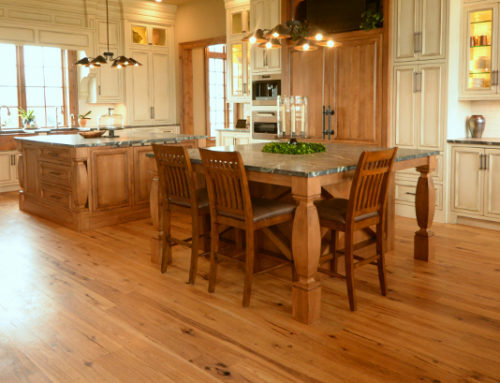 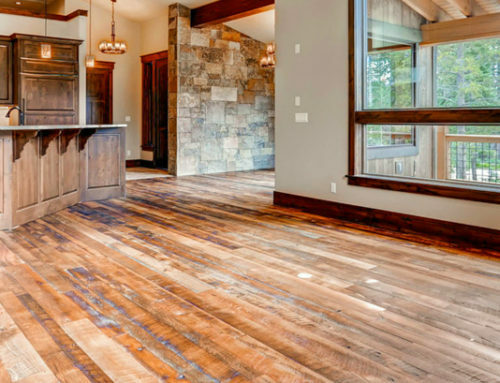 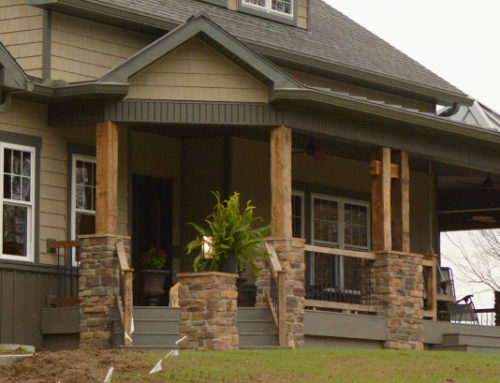 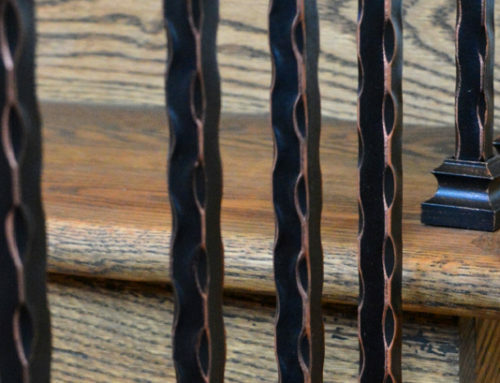 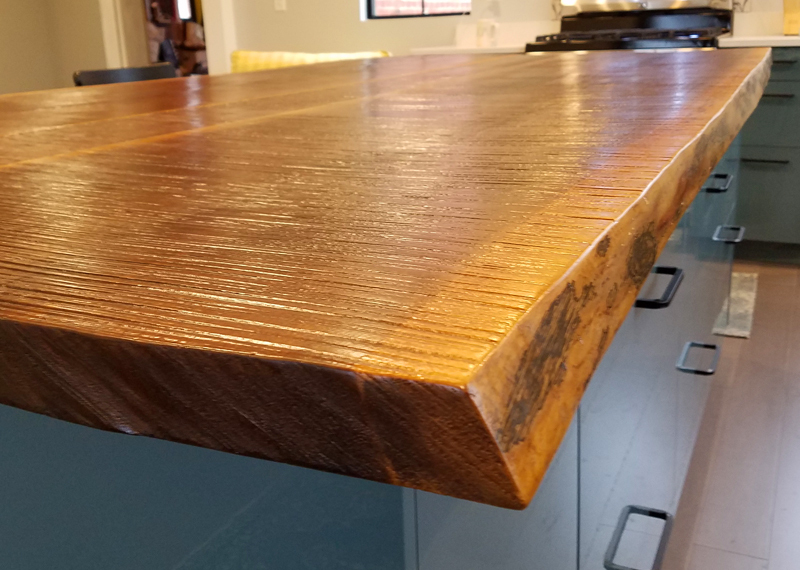 Stull Woodworks offers some of the highest quality joinery techniques and is know nationwide for their superb craftsmanship and dedicated service. 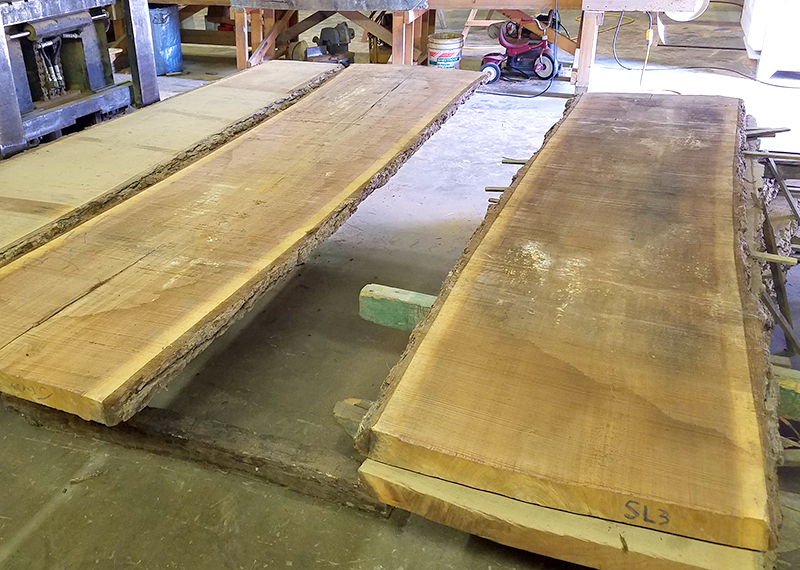 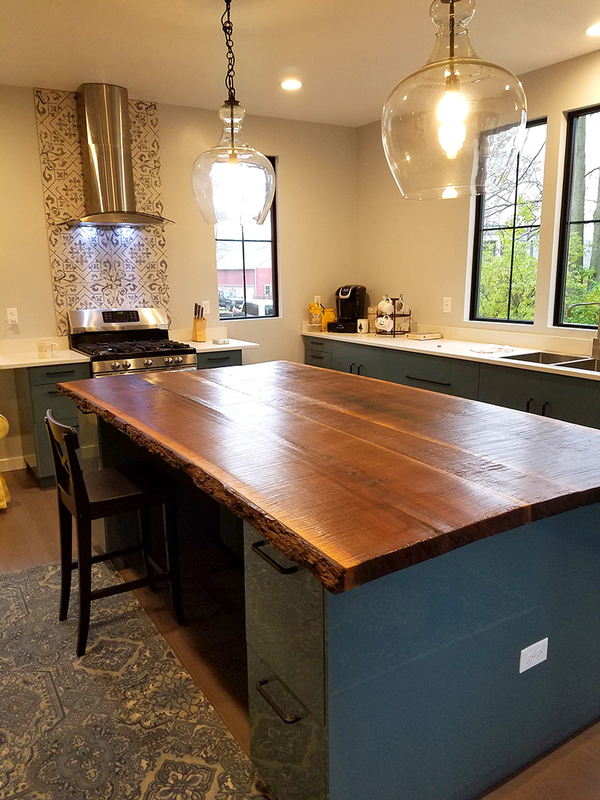 We partnered with them on joining this live-edge walnut island countertop shown to the right. 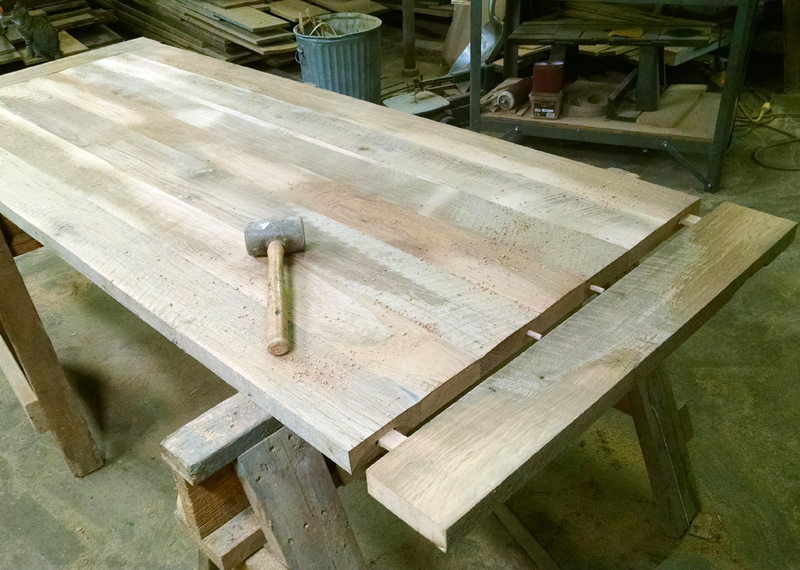 This countertop is massive and takes several hands to maneuver and install. 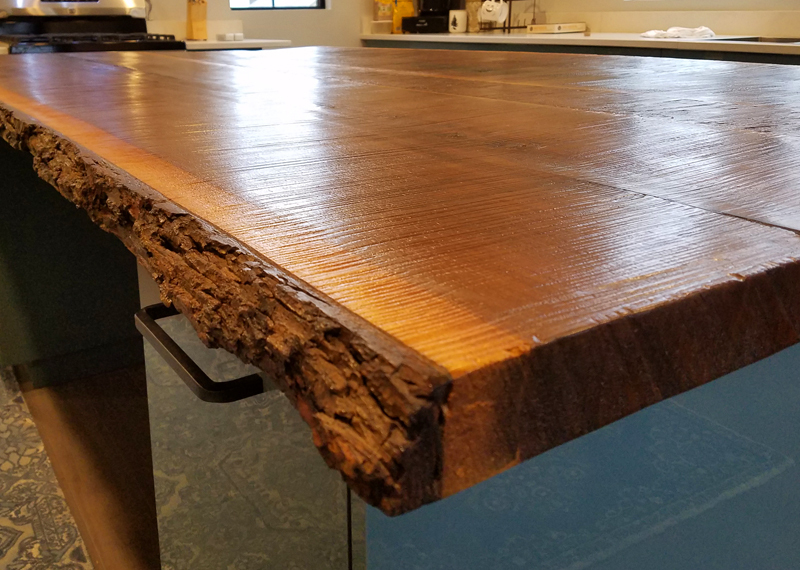 By leaving the saw kerk in the face and the bark on one edge, this top brings just the right touch of rustic to this kitchen. 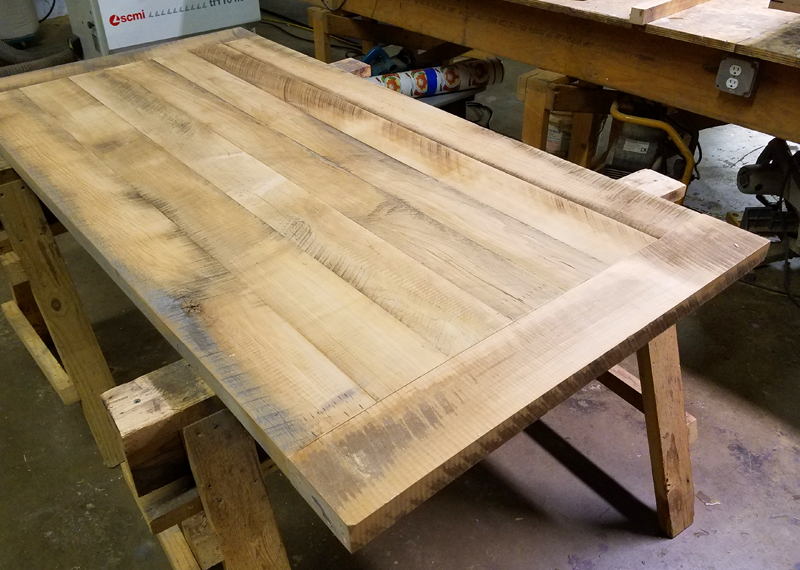 We finished everything off with a Waterlox tung oil. 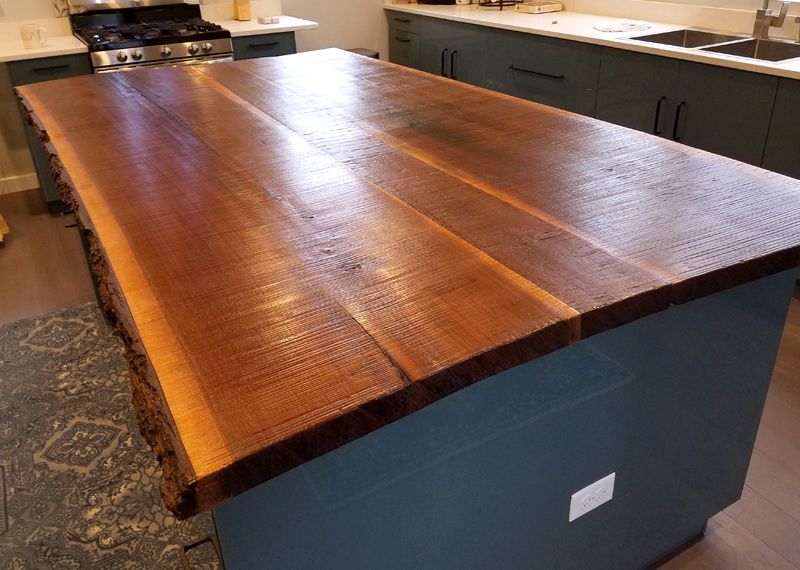 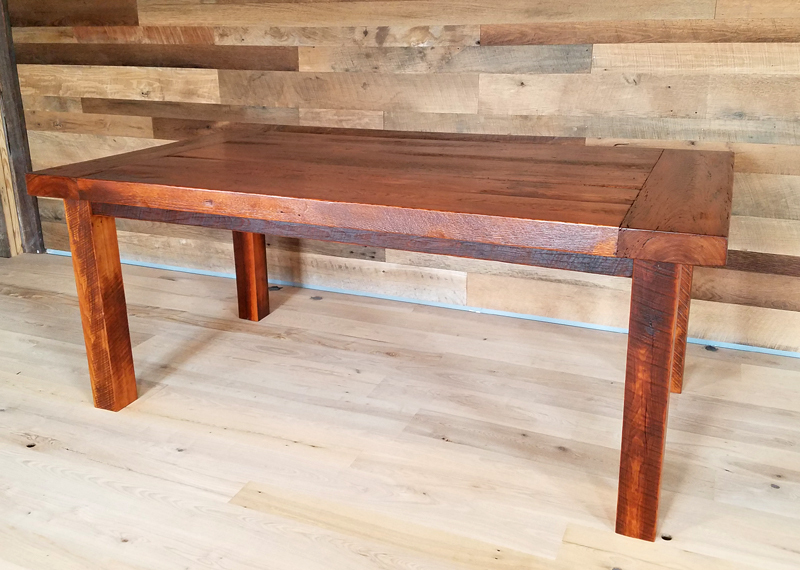 The photos below show some of the progress from live edge slabs to finished island countertop along with another custom tabletop using joinery techniques and a quality finish.